It's baaaaack! Time once again for our annual Maize & Blue Nation bowl pickem league sponsored by Moe's Sport Shops in Ann Arbor. 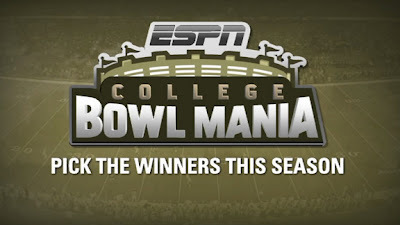 It's very simple, just pick the winners in each of the 35 bowl games, and rank them based on your confidence. The top 3 finishers will take home prizes. First place gets a $75 Moe's gift card, 2nd place a $25 gift card, and 3rd wins a free t-shirt of their choice. Here's the link: Click Here! Also, congrats my father-in-law for his remarkable come from behind heroics and taking home 1st place in the regular season pickem league. We all expect to receive Maize & Blue gifts this holiday season! Good luck and Go Blue! Get it on!! Heaping Praise on "New 98"